Coffee isn’t the only beverage in town that can leave your breath less than fresh. Gulping down certain teas and energy drinks for a morning buzz may result in bad breath if they contain caffeine, which can inhibit the production of saliva. When the mouth is too dry, it allows oral bacteria, the main purveyor of halitosis, to flourish. To jumpstart the mind and body without this unpleasant side effect, turn to morning stretches and a refreshing smoothie or citrus-infused water instead. If you have to consume caffeinated beverages, be sure to hydrate with multiple glasses of water. Besides putting you at risk for lung cancer, smoking cigarettes can stain your teeth and cause your breath to smell bad, dealing your oral health a double whammy. From the combustion of chemical additives to the tiny smoke particles left in your throat and lungs, it’s almost inevitable that your breath ends up tasting and smelling stale. If you feel the urge to take a puff in the morning, distract yourself by doing light chores, or going for a quick walk. Obviously, a smoking habit may cause a more chronic breath problem, so quitting cigarettes and other forms of tobacco is your best bet for a more permanent solution. Pass on the coffee and cigarettes, but eat breakfast — and a nutritious one at that! After a long night’s sleep, your mouth could benefit from a boost in saliva production, and a good meal is the perfect way to do it. 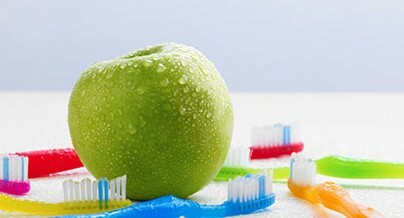 Grab an apple for its high water content and crunchiness, both of which can help cut down on odor-causing bacteria. Yogurt and eggs can also promote saliva production while giving you a healthy serving of calcium and vitamin D. Get creative, but be selective, as some of your favorite breakfast foods may include not-so-breath-friendly ingredients such as garlic or onions. Do a better job of brushing and flossing. You’re running late, but if there’s one thing you shouldn’t rush, it’s your morning dental routine. From stuck food particles to gingivitis and even nasty tonsil stones, it all adds up to one major case of halitosis if left unchecked. For mornings where standard brushing and flossing doesn’t seem to do the trick, get a deeper clean by scraping the gunk off your tongue and gargling with mouthwash. If you find yourself flying out the door and forgetting about your oral hygiene frequently, keep a travel-sized dental kit in your bag or at the office for convenience. Check (and change) your sleeping habits.